Home Art ANIMANIACS IN CONCERT! Round up the entire family, it’s time for Animaniacs in Concert! with Sinfonia Gulf Coast. Created by Steven Spielberg, fans of the beloved animated series are in for a treat as they get up close and personal with their favorite characters as they perform songs from the hit cartoon series, live on stage with Sinfonia. Animaniacs in Concert! 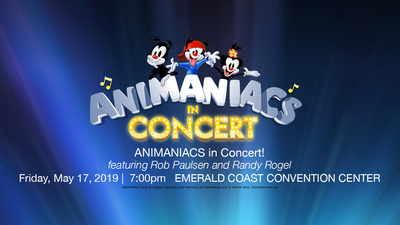 is a musical revue, starring the original voice and cast of the iconic animated series Animaniacs, Rob Paulsen and Maurice La Marche, accompanied by Emmy Award-winning composer Randy Rogel, who will bring the stage to life as they are joined by Sinfonia Gulf Coast and the animation on large screens throughout the hall. “Sinfonia offers something for everyone and we are so thrilled to present this creative and fun concert that is perfect for the entire family,” stated Sinfonia Music Director, Demetrius Fuller. Animaniacs in Concert! is based on the beloved Warner Bros. animated series Animaniacs, which delighted television audiences from 1992 to 1998. The iconic animated series garnered two Emmy Awards, multiple Daytime Emmy Awards, and a Peabody Award, and was produced by some of the most creative minds in animation and television. Whether you’re a fan of music, animation, or fun, come and join the zany fun and don’t miss the chance to experience the Animaniacs like never before! The Warner brothers, Yakko and Wakko, and the Warner sister, Dot, three inseparable, irascible siblings, have a great time wreaking havoc and mayhem in the lives of everyone they meet. They have been locked away in the Warner Bros. water tower for a very long time, but they have found a way to escape. And escape they do, every day! Causing chaos and comic confusion, Yakko, Wakko and Dot run loose in the city, turning the world into their personal playground. Steven Spielberg is the executive producer through his Amblin Entertainment in association with Warner Bros. Animation. 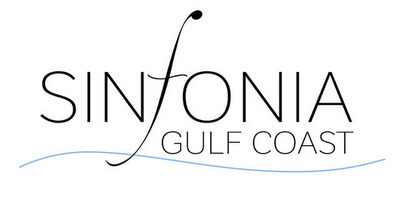 For more information on Sinfonia Gulf Coast, visit SinfoniaGulfCoast.org, call (850) 460-8800 or e-mail info@sinfoniagulfcoast.org.